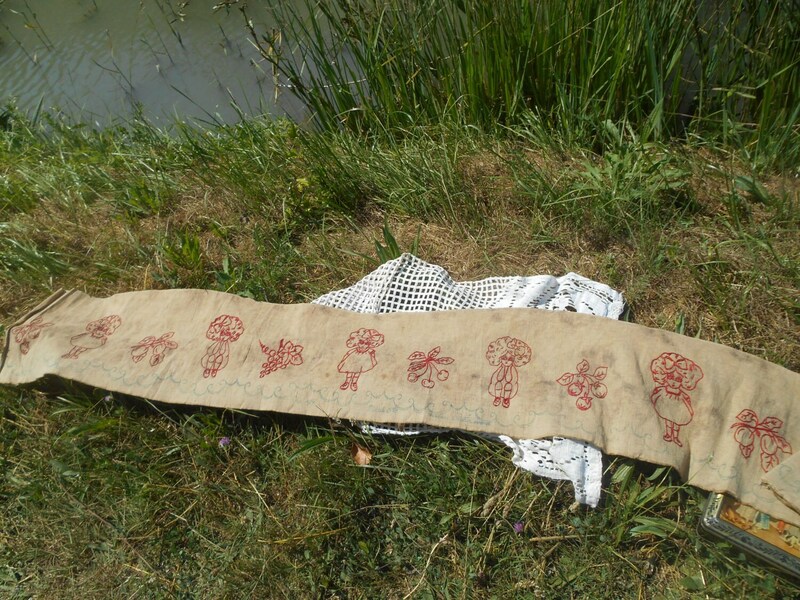 Long Victorian Curtain fabric. 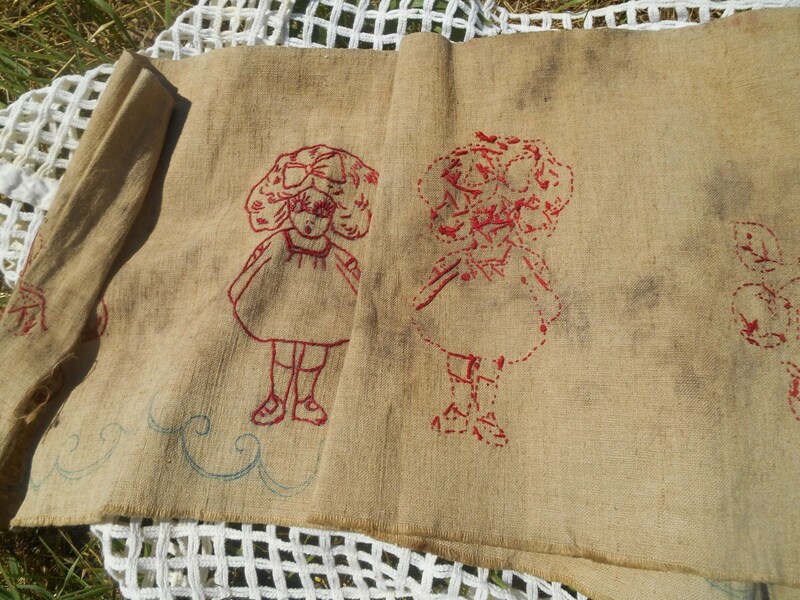 1880's Redwork on linen Fabric hand embroidered . 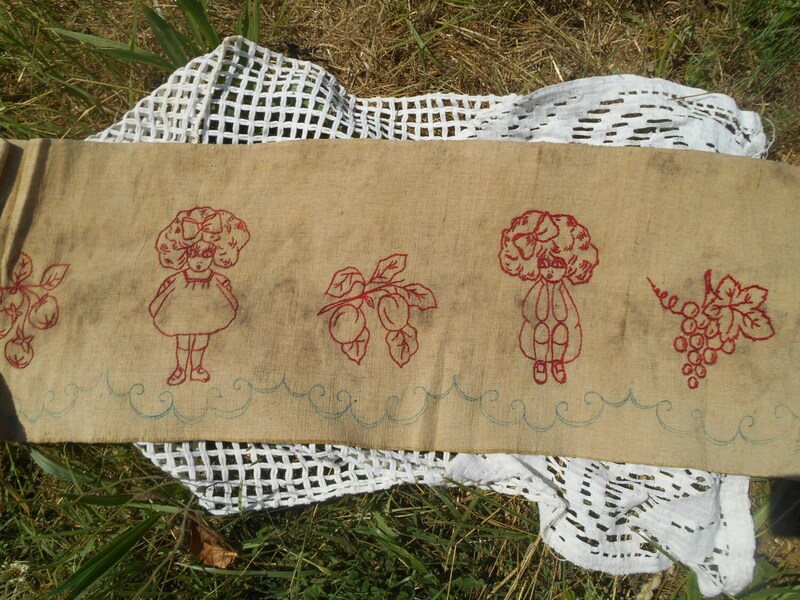 Long panel showing a little girl and cherries. 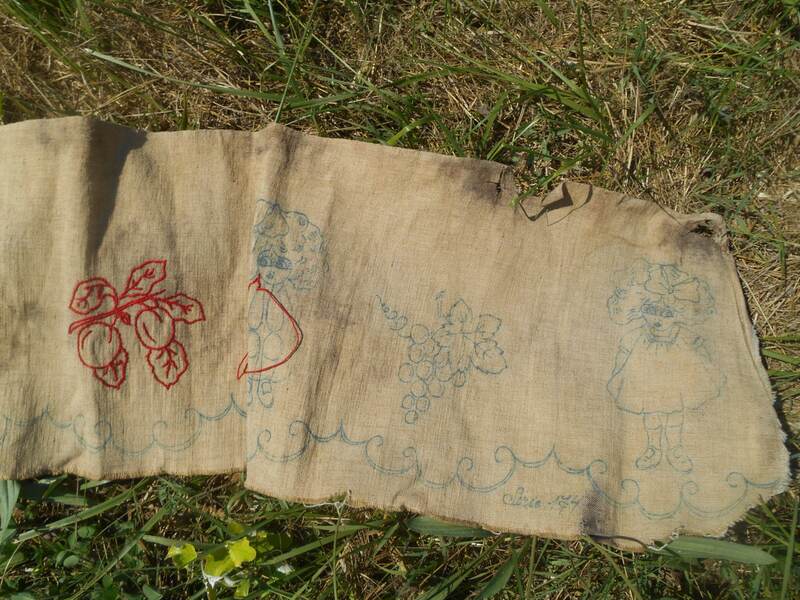 Vintage condition, unfinished embroideries . 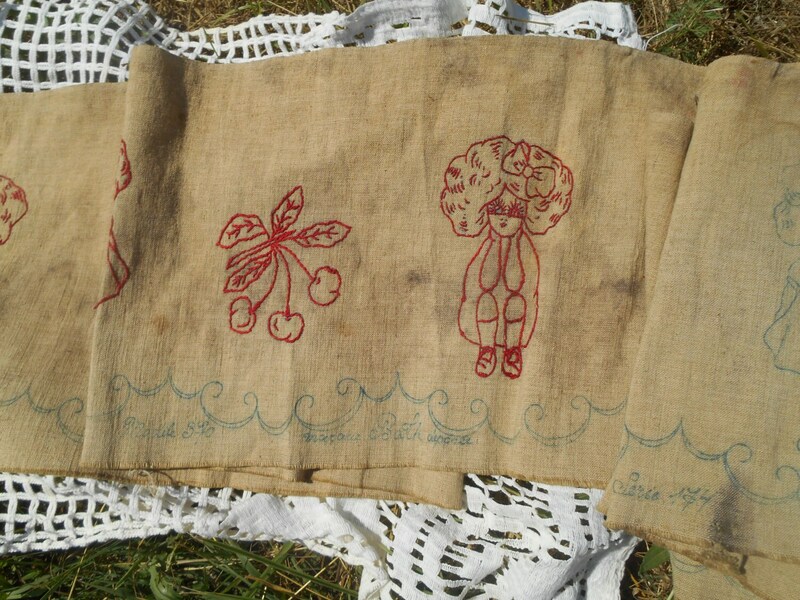 Very Unique handmade piece to make curtains, shelf border or to keep as collectible or all sorts of Sewing project!